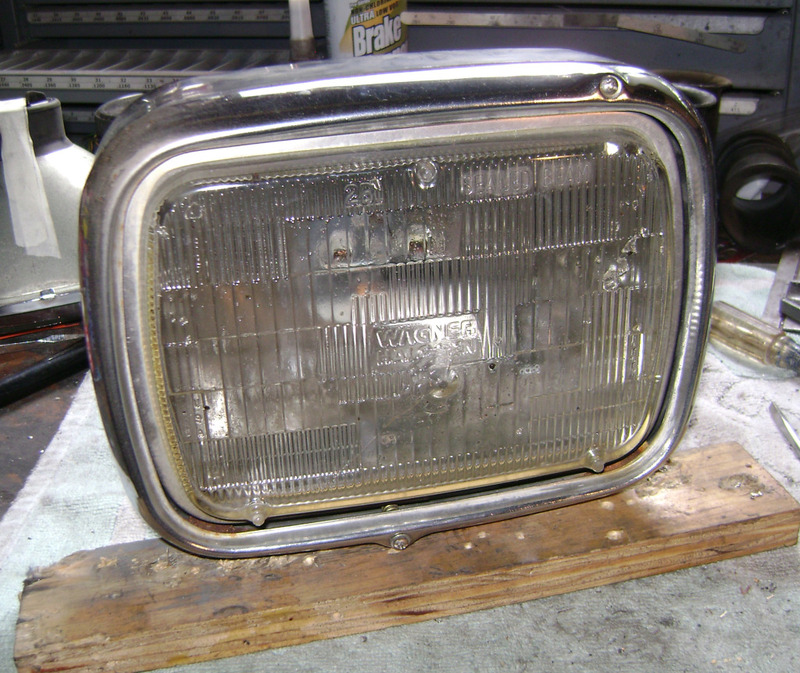 One issue with the standard square headlight is as-sold, you can only use a Yamaha replacement, which as we all know are difficult to find sometimes and usually expensive. 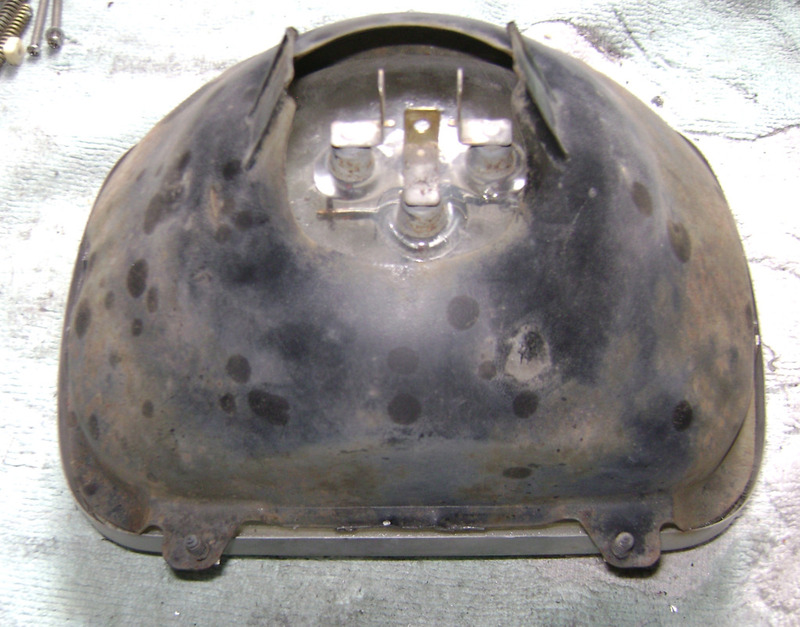 I suggested this to DaVinci, but was at a boneyard yesterday so I picked up a car/truck headlight bucket assembly to see if this was feasible... well, it is. 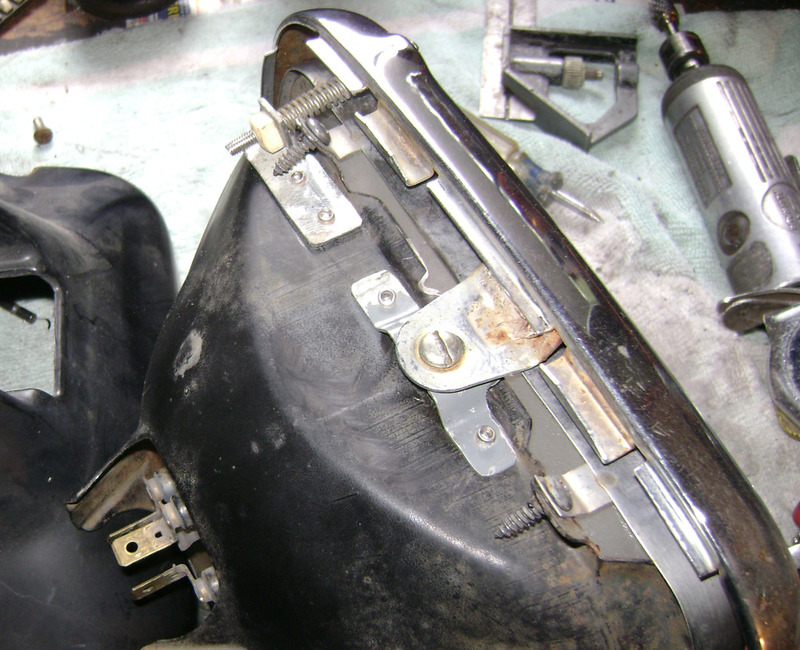 Cut off the original adjusting/mounting ears. The next several pics are all related. In this one, this is how you locate the mounting points. Using a square against the top and left edges (looking from the back), the center of the main mount is 4.5" over from the left end. 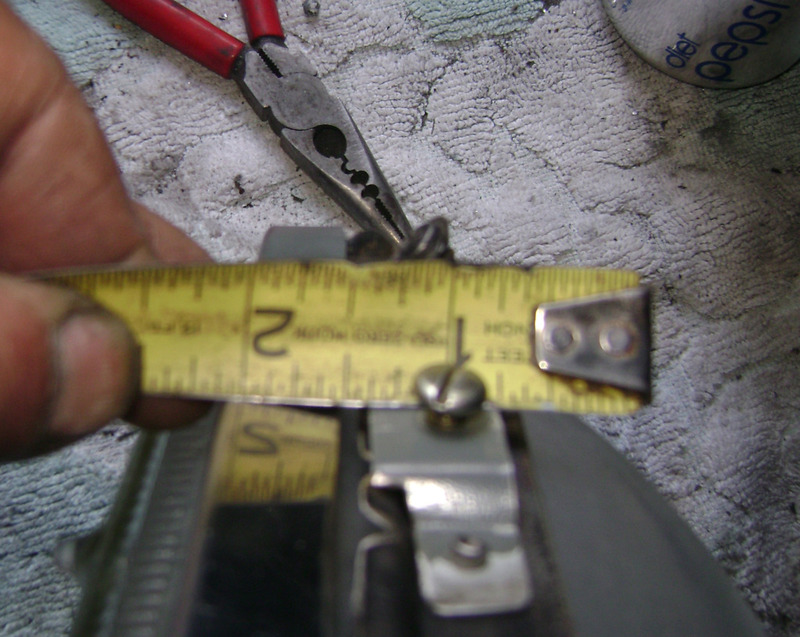 The top aiming screw is 1.5" in, or 3" from the center hole. 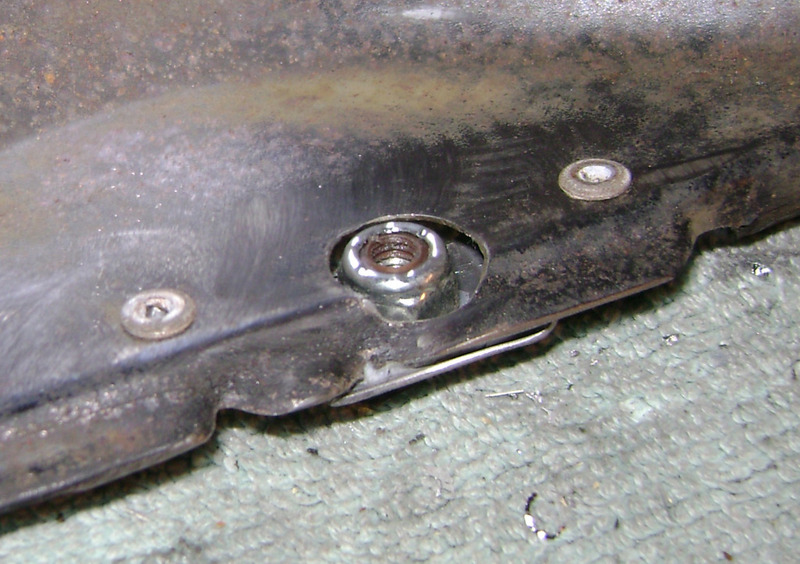 The lower adjusting screw is opposite the top center hole. Main mount fabbed and installed. 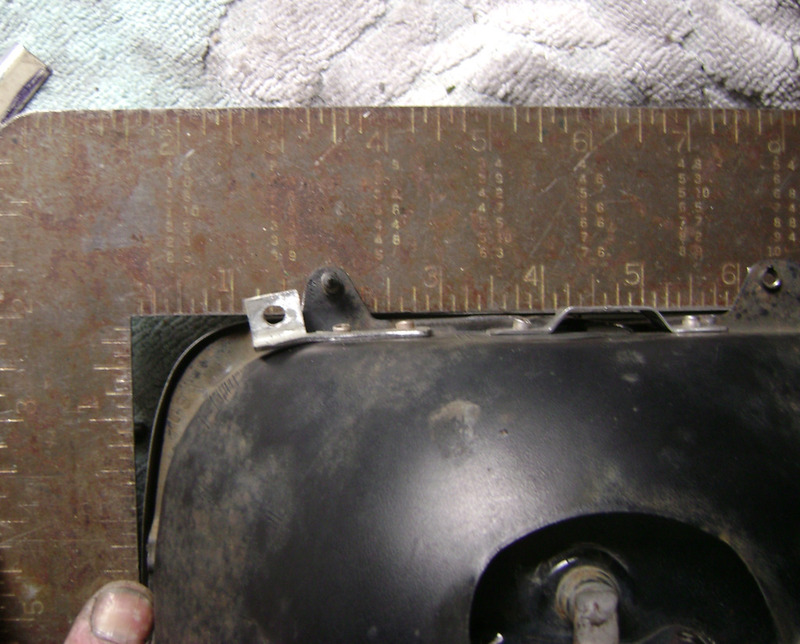 The top of this should be between 1/32" and 1/16" higher than the headlight retaining ring, or in this case, 1/4" above the bucket. I'll note here that the two adjusting brackets should have their hole centers even with the retaining ring also. I'll also note that the main mount I made out of some scrap body sheetmetal, but I used some stouter .062 thick material for the adjusting brackets so they won't bend. 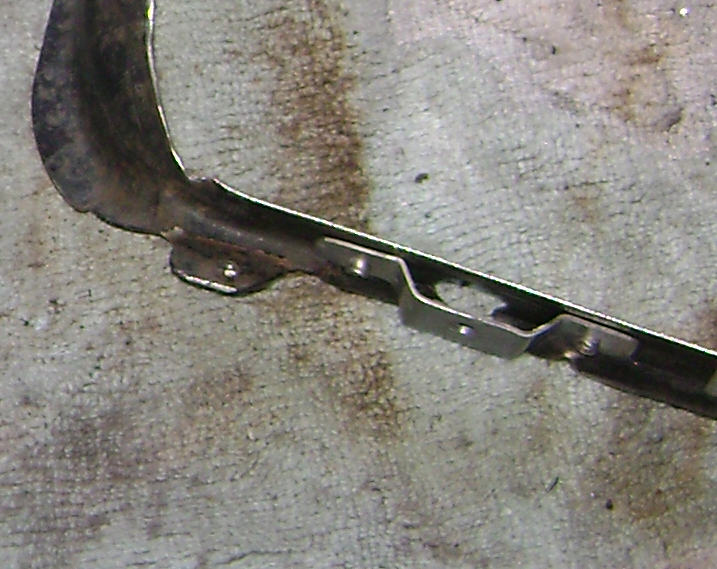 The upper adjusting bracket. 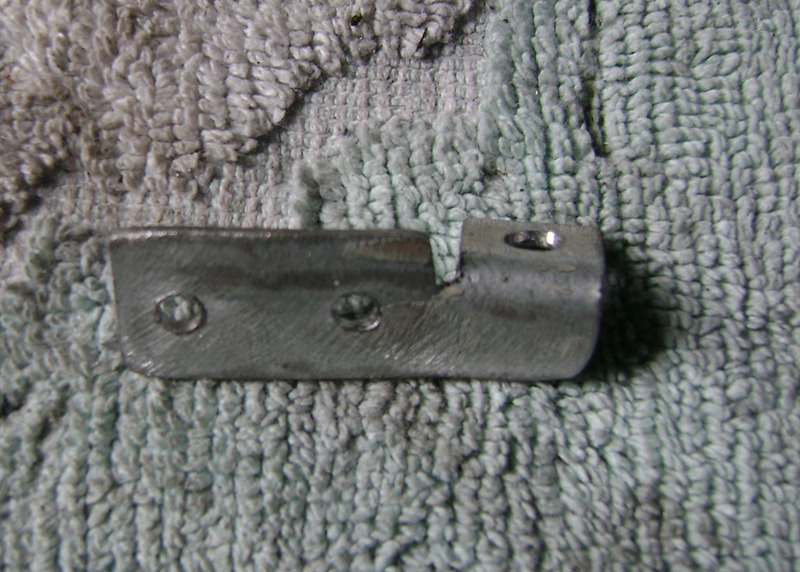 The 'tab' with the hole in it should be .4" (13/32") on it's inside length after bending. 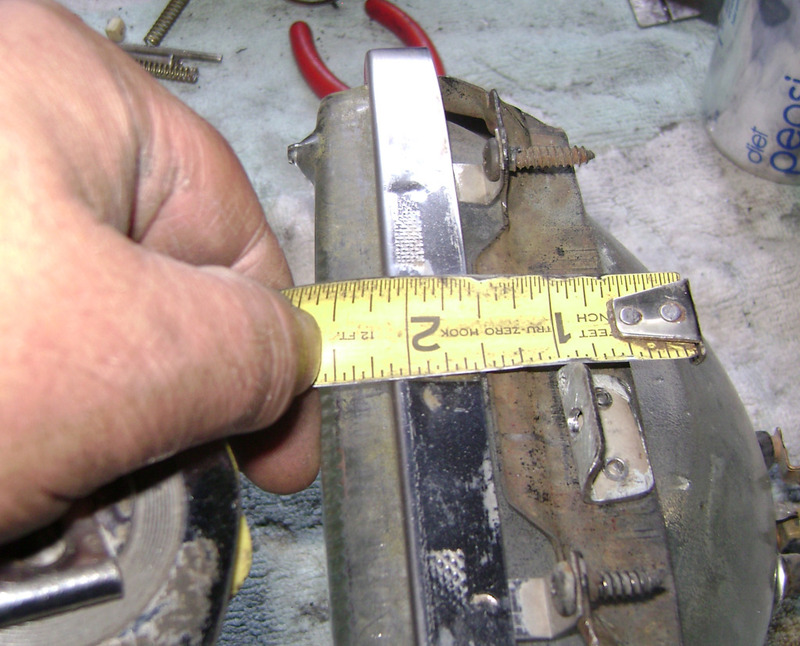 Bend it to 90 degrees, then go another 15 for the correct angle, and do the same for the lower bracket. By the way, all the screw holes are 3/16". This pic is important; to properly locate the headlight, the center of the mounting should be exactly 1.125" from the front edge of the retaining ring. 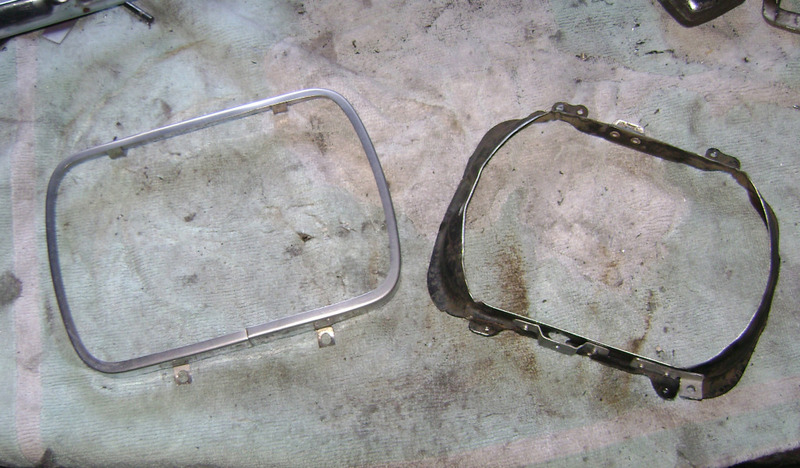 This shows the finished top mounts, but also shows that I had to bend the two top retaining ring tabs back for clearance; the bottom ones should be OK. Final modified parts. I cut the excess back out of the bucket (that was harder than all the rest!) for a bit more room, but you may not need to. If you don't have any of the OEM hardware, you'll need one 10/32 x 3/8" screw, one 10/32 nyloc nut (I don't see any way to get a lockwasher in there) for the main mount, and two 8/32 x 2.25" screws, two 8/32 square nuts, and two .25" OD x 2" long springs. You may be able to find the springs at the wrecking yard, look around. Last edited by crazy steve; 10-28-2014 at 11:23 AM.